This is adapted from Mario Toneguzzi’s article which you can find here. According to real estate services and investment firm CBRE, Calgary’s vacancy rates are finally dropping. Thus far, we’ve only seen a decrease of 0.7%, but progress is progress. Multi–family homes also saw a massive increase towards the end of 2017; an increase of 69% compared to the same time in 2016. 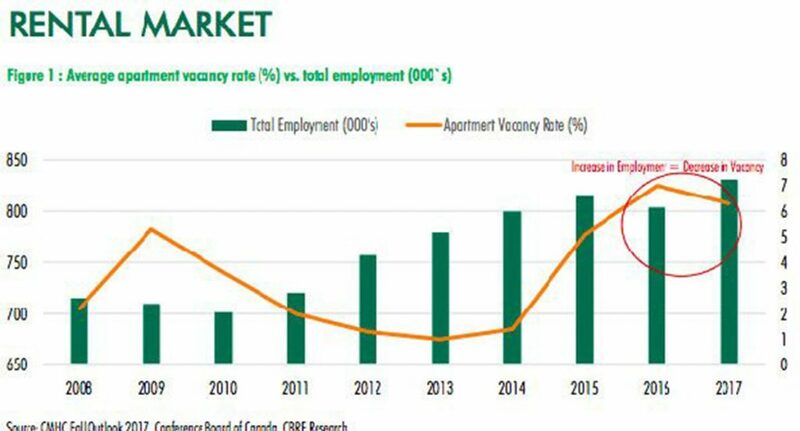 “Due to improving economic conditions, there has been an increase in demand for rental units in Calgary,” added CBRE. “Number of occupied units in the city increased by 1,800 units years-over-year. Overall, supply in the apartment rental market demonstrated strong gains in 2017. There were 1,637 units brought to the market year-over-year, which contributed to the year-end total of 38,160 units of inventory. “The most notable increase in supply was to two-bedroom units, with 997 new units added to the market, followed by one-bedroom units, which added 550 units,” the report said. So what does this mean for you? As a renter, there will be more and more quality (if not slightly smaller) rental units available. 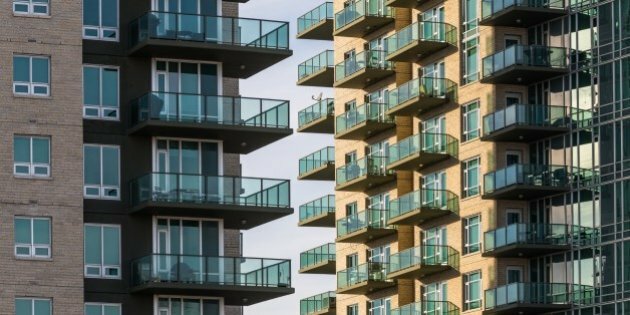 As the market trends more towards these purpose-built rental units, renters will enjoy more amenity-rich rental properties (ex. higher end appliances, gym-on-site, floor to ceiling windows) in exchange for square footage. The sardine effect will be in full swing, but modern designers lay out these units to counter act this feeling. Wide windows and open floor plans promote more effective use of space in these smaller units. As an owner, up-keep on these newer, more modern units is less of a pain than in older buildings. Higher rents can be asked as these units offer much in the way of amenities, the lower square footage isn’t too big of a deterrent for the working professional. As an investor, buying several of these units and hiring a property management company can be a low risk, low-effort investments the market begins to recover. Drummer Realty & Property Management is always available to chat about your property management needs, give us a call anytime! The views, opinions and positions expressed by this article are the author’s alone. They do not inherently or expressly reflect the views, opinions and/or positions of any other person or entity. Beware! You Need to Know the Dangers of Unregistered/Unlicensed Real Estate “Professionals”… And How to Spot Them! The Drummer Team Delivers Some Christmas Cheer! Will Changes in Canadian Mortgage Rules Mean Many Prospective Home Buyers Will Be Continuing To Rent?